Strong Seo roots are determined by several factors such as the domain age, authority of backlinks, local citations, brand value and quality of content. 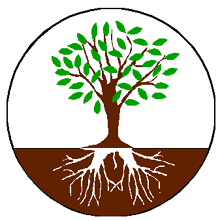 You need to make your Seo roots strong in order to get the most benefit from Google. Let us understand these concepts one by one which would contribute towards making a website rank high on Google search results. The age of the domain is an important factor in finding the trust associated with any website. Sites that are five years old are having more trust than the sites that are a few months old. Although Google does not says it openly but it does matters! Just think from real world point of view and tell- whom will you tryst more? An experienced folk or a newbie? One point to remember is that domain age does not means to book a domain and to keep it in a dormant state for years and then counting the value of the age associated with it. Your site should be up and running for years in order to calculate the real value of the domain age. It is always better to have as many WebPages in your site as possible. Some sites feel it harder to have many pages because of their niche but in those cases creating a blog would surely help. Having a good quantity of pages always helps as the internal linking becomes strong, chances of ranking for varied key phrases becomes possible, freshness of content is increased, chances of receiving a backlinks is increased and the bounce rate of the site also decreases. Further, your competitors find it hard to defeat you as your site is backed up by a large army of pages. All these small factors goes a long way in making your website a strong force in the internet. You cannot ignore social media while planning out your Seo strategy. Social Media plays a pivotal role in the ranking of a website either directly or indirectly. Its compulsory to have a presence on the popular social media sites like- Facebook, Twitter, LinkedIn, Google Plus, Pinterest, Digg, Reddit, Delicious etc. These platforms are flooded with people and if your story goes viral then you can just imagine about the benefit it can give to your site. Having a solid presence requires constant effort with lots of patience. Promoting your brand is a better way to perform search engine optimization rather than promoting your site with the Seo keywords. You must choose brand specific keywords and prioritize them in your strategic and planning sessions. Brand exists for years to come while a site promoted with fancy keywords loses its reputation and popularity. Its important to build the foundation of a better site by focusing on the brand and including those keywords that are having your brand name in them. Google cannot ignore people searching for your brand and it is bound to display your site on the top. Associate your brand with your major keywords and see the immense benefits you get.